Have you ever thought “I’d like to do something more useful in my freetime”? About a year ago, I had that moment and made a google search for volunteer work in Barcelona. That’s how I came across the International non-profit organization “Best Buddies”, founded by Anthony Kennedy Shriver in 1989. 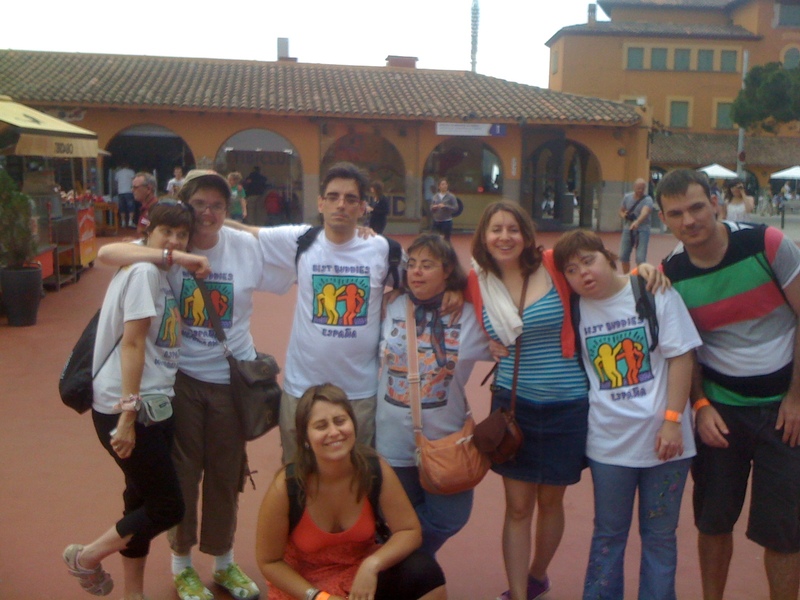 Best Buddies (BB), available in many countries worldwide, is a global volunteer movement that creates opportunities for one-to-one friendships, integrated employment and leadership development for people with intellectual and developmental disabilities. 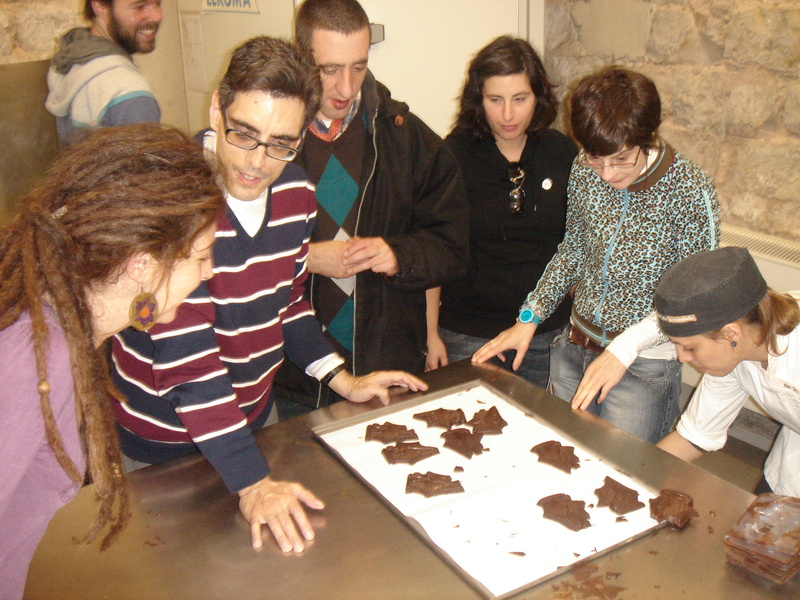 BB Spain is currently located in Madrid and since beginning of 2010 also in Barcelona. The BB routine you have to follow with your “buddy” is simple: one week you call your buddy (agreeing before on which day you would call him/her) and the week afterwards you meet for an activity that you decided on your phone call (watch a movie, go shopping, play a cardboard game or just meet and chat). About nine times a year there is a group activity where the “buddy couples” meet together with the coordinators to go to karaoke bar, visit to a museum, an amusement park etc. Yes, Domingo is very interested in politics and loves to go to political meetings before each upcoming election. Domingo loves to talk about the financial crisis in Spain (Mainly getting it a bit too black and white saying: “Good luck for you in Germany, you’re all rich!”). 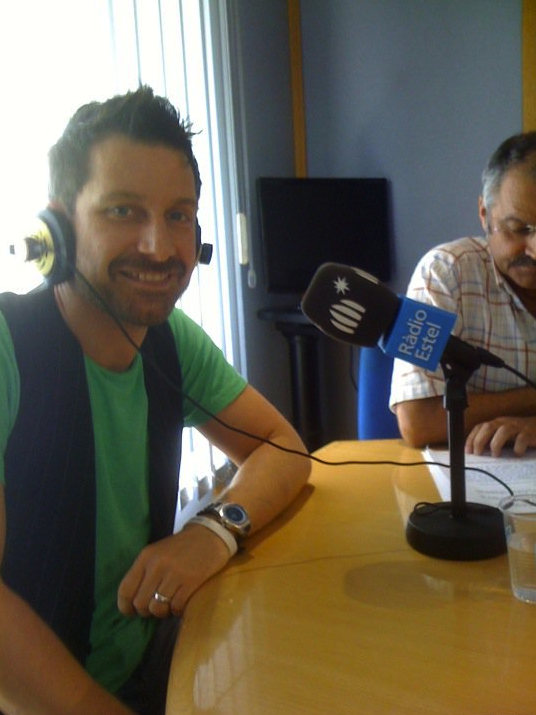 He’s also a paying member of the Catalan Socialdemocratic Party (PSC). 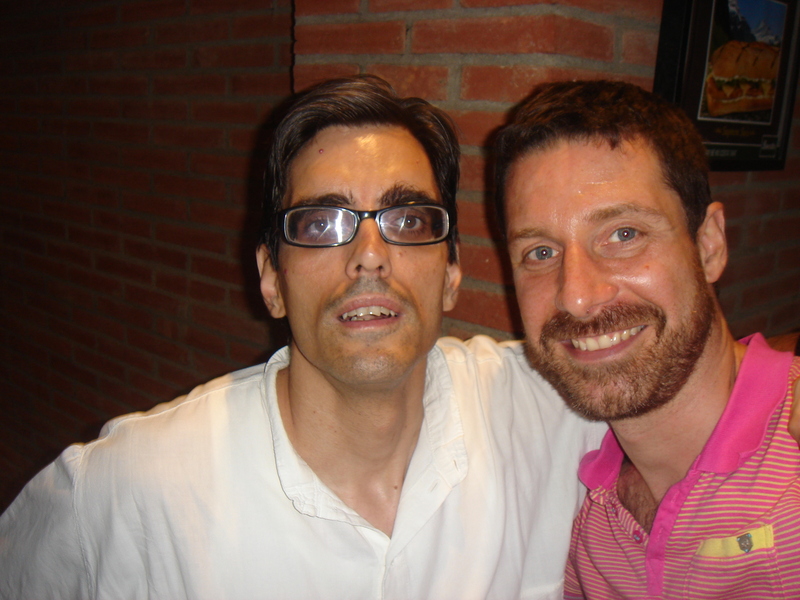 That’s how Domingo invited me last summer to join him and the other PSC members at a dinner party out on the street. He completly knocked me off my feet when he introduced me personally to Jordi Herreu, the former mayor of Barcelona and to José Montilla, the at that time governing president of Catalunya! It’s incredible to see how naturally he approaches people he doesn’t know yet. On the other hand, he often has problems to reach out to people in his closer environment because he is scared to “be rejected”. In fact, sometimes his concerns and fears make it difficult for him to see things from a positive angle. And it’s that what makes him sometimes a lonely feeling guy: He’s imagining and thinking too much what might happen if (He usually thinks only of the bad possible consequences.) “What if I don’t find a new job? Will I ever find a girlfriend? Will I ever be able to move out of my mother’s place and live on my own? What will I do when I lose my mother one day? What will I do if people reject me?” This last question is constantly in his head. And it took me a bit to understand what kind of rejection he was talking about. For instance, he told me he went to a Sunday tea dance for people with intellectual disability but was rejected by the other guys there. He was upset about this and even took me to accompany him when he wanted to complain to the organizers of the tea dance, some days later. After questioning him over and over again what kind of rejection he was refering to, he finally reveiled that the other guys just didn’t talk to him. But later on he admitted that he didn’t dare to talk to them either. Of course, we told Domingo that this was only natural if you are new to a crowd that already knows each other: one has got to make the first move to get to know each other – somebody of the crowd or you. And that he just could have asked one of the guys from the tea dance team to introduce him to the others. Suddenly this huge hurdle for him was no longer existent and Domingo agreed to do so, just like that. He was even looking forward to go there again, his mood changed from one moment to the other to the opposite extreme. It puzzled me how it was possible that Domingo could walk right up to the president of Catalunya and have a toast on him (!!) but not be able to talk to people who also have intellectual disabilites like himself. And I think the reason is just that: fear of being rejected by the ones you are closer to. It’s not a threat to be rejected by someone who is generally unreachable for you (like the king, the pope or the president) – so why not try to contact them, it’s no big deal if they don’t react. What’s more threatening is to be rejected by the ones you really identify with, the ones that really matter to you. Now I’ve had become the one for Domingo who should help him to get all he needed: to find a girlfriend for him, a flat for his own, a new job… Soon I felt overwhelmed by Domingo’s demands and quite frankly, I also got a bit scared when Domingo once cried on the phone and said: “I’m so fed up of being weak, of being an almost 40-year old guy living with his mother being a hassle to anyone. The best thing I could do is if I just died!” That was the moment when I told myself I need some help from the ones who know how to deal in this situation. I called the Best Buddies team and immediately got an appointment with Carlos Rubio, the other BB coordinator in Barcelona. I can’t say how helpful that talk was to me. Carlos told me there was just one simple thing I had to learn: Sometimes I just would have to say no to Domingo! The BB friendship should be fun for both buddies. Of course, you share your problems but primarily, you should try to have good time together. Carlos told me that, of course, I could help Domingo to find a job. But that wouldn’t make him a more independant nor a more happy person. He surely would go right to his next problem: “Now where’s my own flat? Where’s my girlfriend? Can’t you help me with that, too, Per?” – Hm, I thought, but what if Domingo feels left down and gets angry about me? – “He might”, Carlos admitted. “Maybe he won’t call you for two weeks. But he will call you again when he realizes he actually misses his friend.” Domingo would have to learn he could not “use me” as his wildcard to get what he wants. Carlos also explained me that it is quite common and only human that some of the guys try to take advantage of their own disability; two other guys in the group, both being huge Lady Gaga fans, once told him proudly how they consciously exaggerated their handicap at the stadium’s ticket booth, in order to get into the Lady Gaga concert (without having the money, of course). They didn’t only get themselves free entrances to the first row but also were interviewed on the TV news about it!! So I followed Carlos’s adivce and it worked out just perfect: Domingo could handle a no without any big desperation. By making the call himself, he found a place at an educational working centre for people with intelectual disabilities. He even got himself a girlfriend (for a short time only, however) and also subscribed himself to more group activities in other associations. Some encouraging words were all he needed to make him do the step on his own. I’m very proud of Domingo! 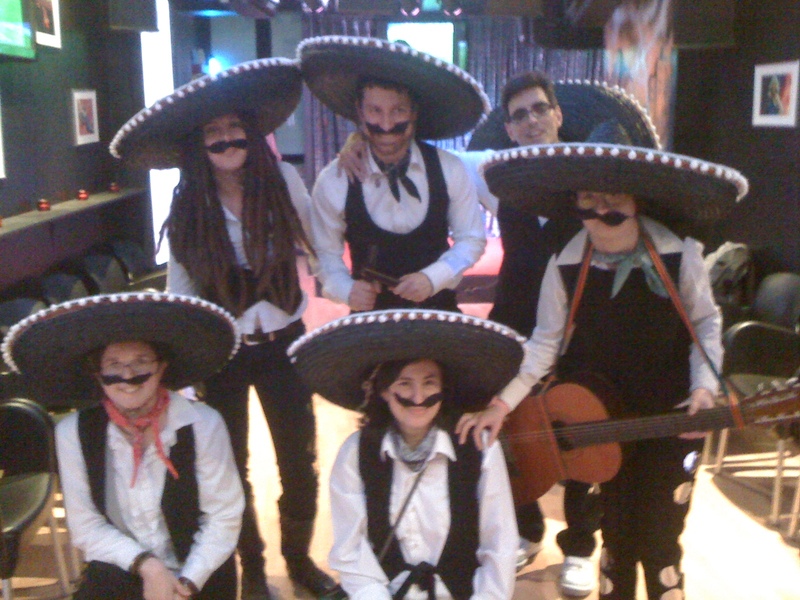 During this one year we’ve made some fantastic experiences together: creating our own mariachi costumes and learning a corresponding song and dance routine for a carnival event (together with some other close friends from the BB group), we were together in a talkshow on the radio, visited a cabaret show, had a blast on Domingo’s 4oth birthday party, met many new people but most of all, we became close friends. 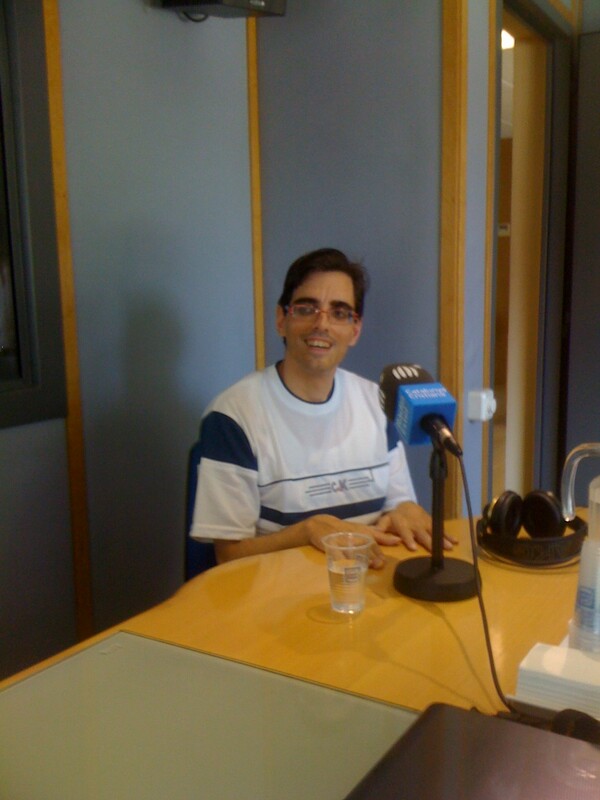 Domingo at Radio Estel at the programme "Catalunya sense barrers"
I can only recommend anyone to try the experience of Best Buddies. It’s really very little effort to give some of your time. And you’ll feel you’ve spent it on a good thing. For people whom you actually might have had a very limited idea about. It feels good when Domingo says he’s grateful for my advice. I hope they helped him on the long run. It sure has been a valuable experience for me to get to know him.